Male reproductive organ that is often problematic is prostate gland. This gland is located between the urinary bladder and uretra as big as canary seed. When men reach the puberty age, prostate gland starts to make seminal fluid. Along with increasing age, men can experience interference prostate such as enlargement, inflammation, and even cancer. Things that can cause death. The acute prostate inflammation sufferer, shows symptoms of fever, cold, lumbago, muscle pain, feeling of swelling in the hip, and pain in the joint, always and often to urinate, fell burned when urinate, and cloudy urine. Research found that garlic is believed to provide the best protection against prostate cancer, while red meat to be the biggest risk factor disease. The researchers also successfully identify what to protect and increase the risk of prostate cancer. Products derived from animals found to be risk factors, and vegetable products to be lowering factors. Meanwhile, a U.S. research examining the effects of consumption of tomato sauce on about 50,000 men. Result, consumption of tomato sauce two times per week is believed to reduce the risk of developing cancer prostat up to three times. The secret lies in the likopen, antioxidants that makes tomatoes red. The researchers suspect likopen joined with elements of the offense easier for the body to absorb in the form of a sauce of raw tomatoes. Dr. Edward Giovannuci, a nutrition expert at Harvard Medical School who led the research for 12 years revealed that the tomato sauce is the ideal source of likopen. The sauce brings a high concentration of compound resulting from heating in the production process. Other research results, men are encouraged to consume apples and bean that contains many kuesertin. Recommendation is based on research Rochester, scientists at the Mayo Clinic, USA, published in the journal Carcinogenesis. In the laboratory test Nianzeng by Xing, cancer experts from the Ministry of Urology at Mayo Clinic, proves that kuesertin able to block the male hormone receptor. Receptor objective is to activate the genes which regulate the production of various hormones in prostate channel. Receptor amount that is too abundant will spur cells multiply so uncontrollable and lead to cancer. According to Xing, still more in-depth research is needed to track how kuesertin work. However, finding at least a new hope for prostate cancer. Xing suggested increase consumption kuesertin natural food sources such as apple, bean, citrus, tea, and red onion. About Herbal, You can select China ingredients or Indonesia ingredients. 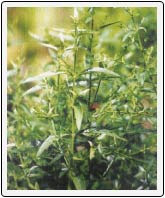 Some Indonesia medicinal plant native, said Dr. Budi, even able to improve cure interference of prostate. For example, a blend Sambiloto roots and reed. Traditional Chinese herb is also believed capable of overcoming inflammation and prostate gland enlargement. Book Prescription beneficial to Life, published in 1253 by Yan Yung-hou, a few classic recipes to overcome prostate interference. Following ingredients to overcome the inflammation and prostate enlargement. Use: Boil all ingredients with water to 600 cc 300 cc left. Filter and drink twice a day, each 150 cc. Use: Boil all ingredients with water to 800 cc 400 cc left. Filter and drink twice a day, each 200 cc. Use: Boil all ingredients with 2 water glass until remaining 1 glass, and then filtered and settled. Drink twice a day, each half a glass after the meal. Use: Boil all ingredients with 3 water glass until remaining 1 glass. Drink twice a day, each glass. Materials can be re-boiled again. Note: do not use the pot that made from aluminum to boil the ingredient. Better use earthenware. Choose one of the ingredients and do regularly. Keep your doctor or consult the herbalist experienced.